All goods must be paid in full before or at the point of delivery. All goods remain the property of Waltham Forest Fencing until paid in full. Damage or shortage must be notified within 24hrs. Labour must be supplied at all times. Goods are delivered to the front garden only. 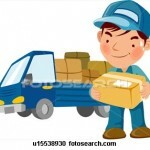 Please call for a full list of delivery areas and charges.